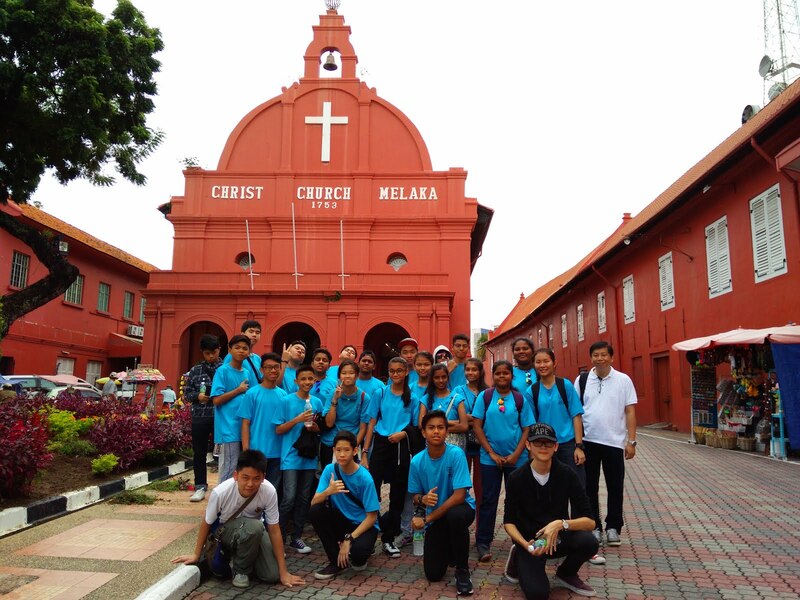 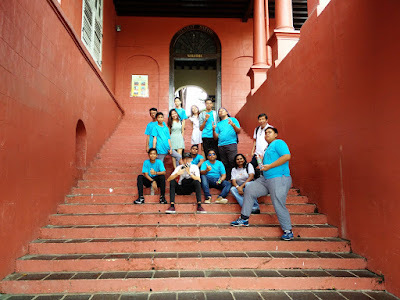 Irdina...Today, my classmates and I visited the Christ Church. 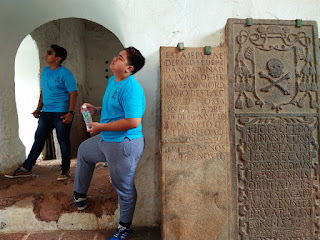 We learnt fascinating facts surrounding the rich history and heritage of the church. 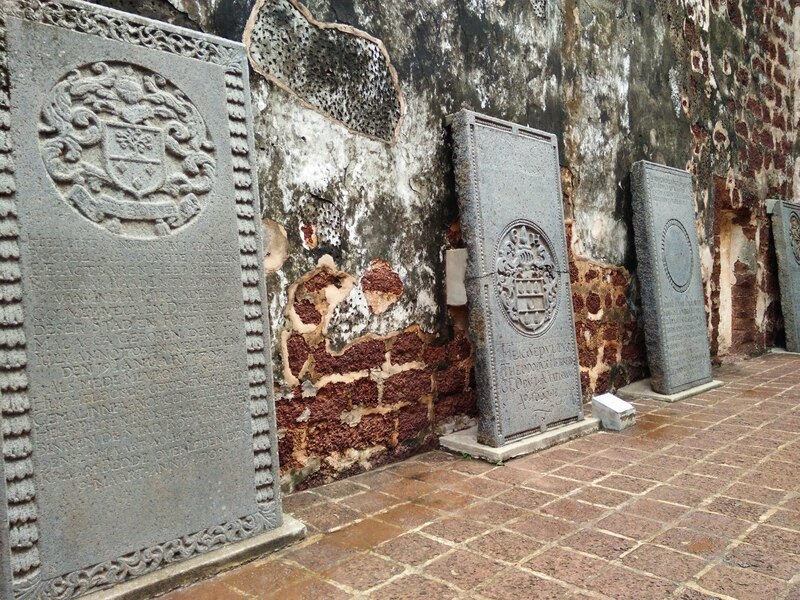 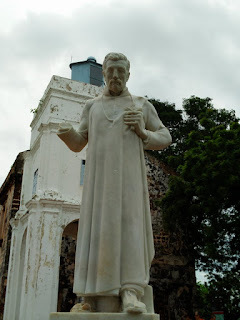 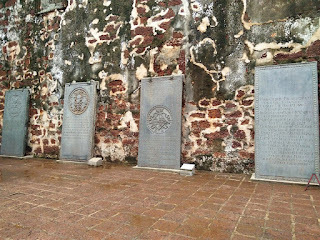 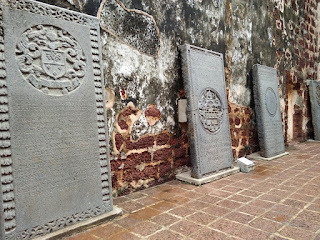 This church was built by the Dutch when they took possession of Malacca from the Portuguese. 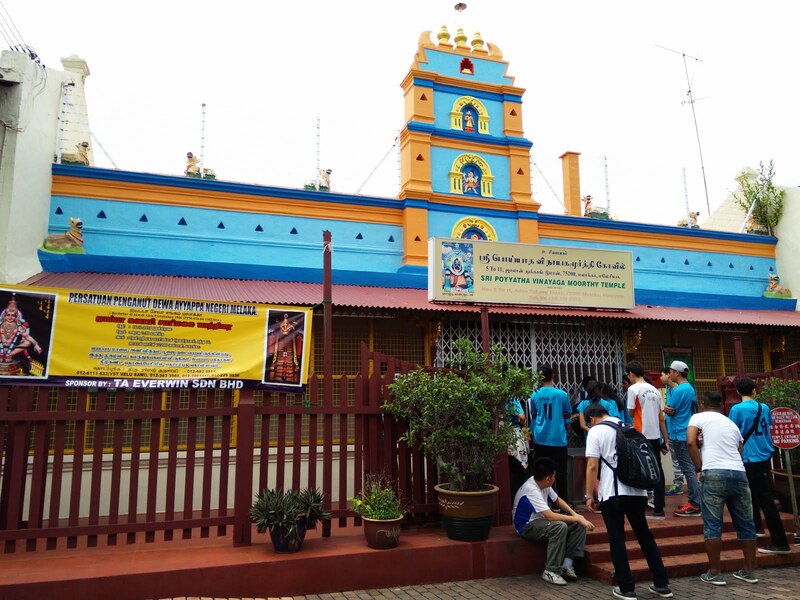 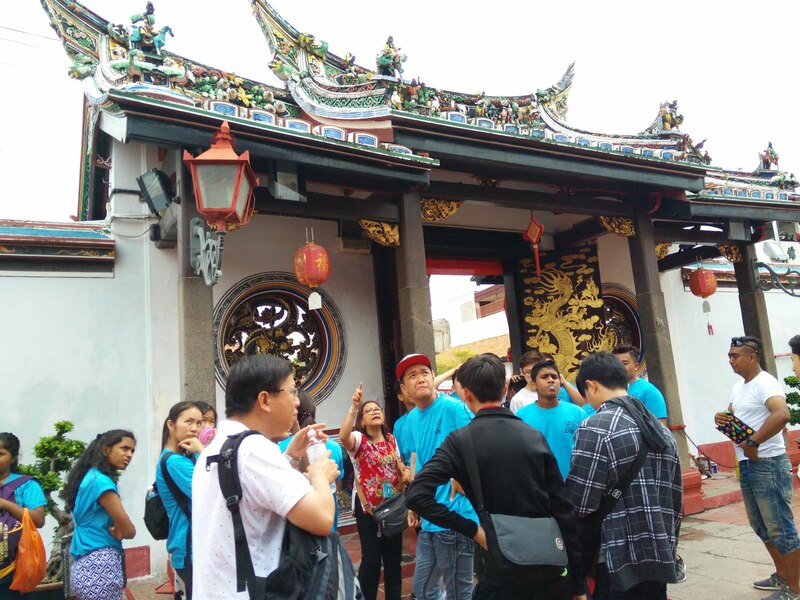 We noticed the well-preserved western style architectural buildings in red, long benches and silver altar vessels. 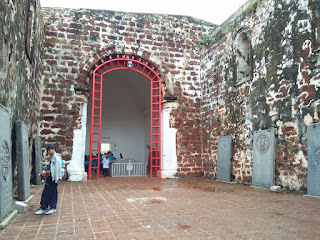 'A Famosa' was the first fort built by Thomas Fernandes. Visiting these historical places has made us understand the importance of conservation and restoration of historic buildings. 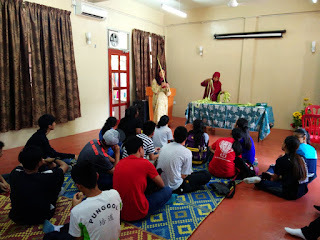 We learnt about the places of worship of the various races. 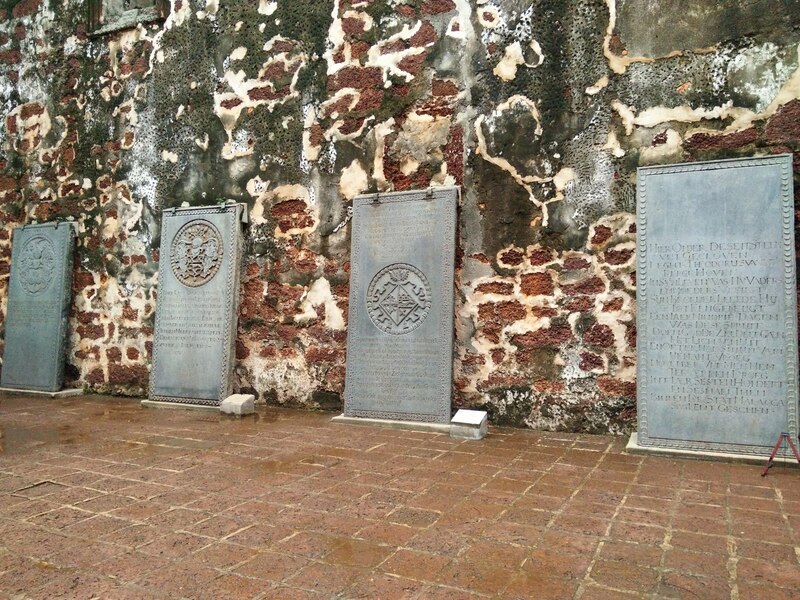 Reflection: Singapore and Malacca are different in terms of cleanliness. 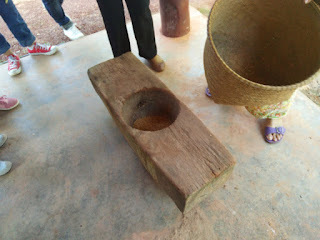 For example it was very difficult to find a dustbin and there was litter everywhere. 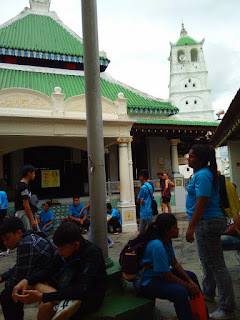 The roads are very narrow and we realised that it was not safe to cross the roads in Malacca despite the presence of traffic lights. 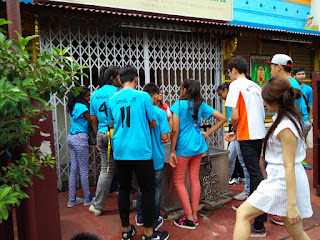 The drivers do not respect or follow the traffic rules. 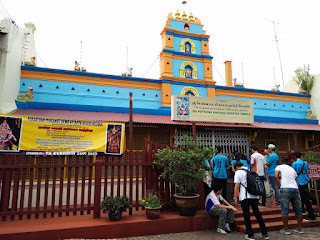 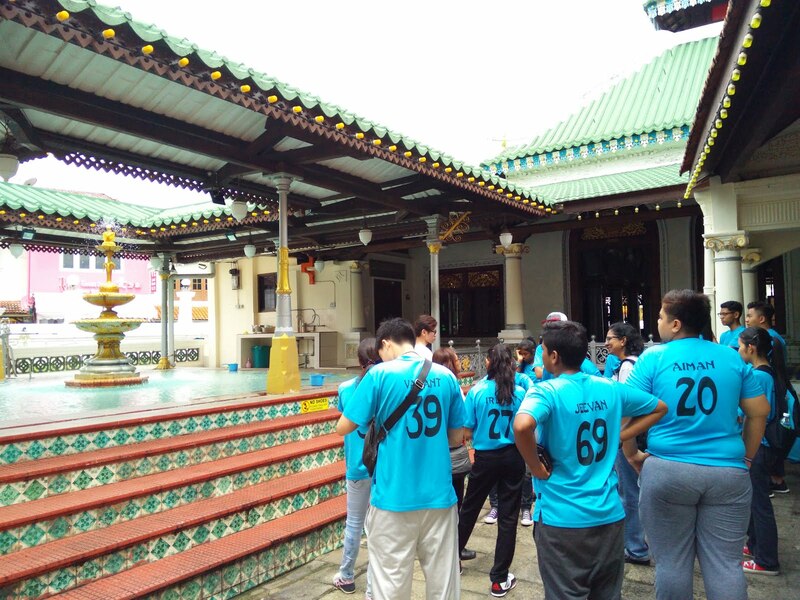 Malacca's Harmony Street is very similar to our cultural attractions in Singapore. 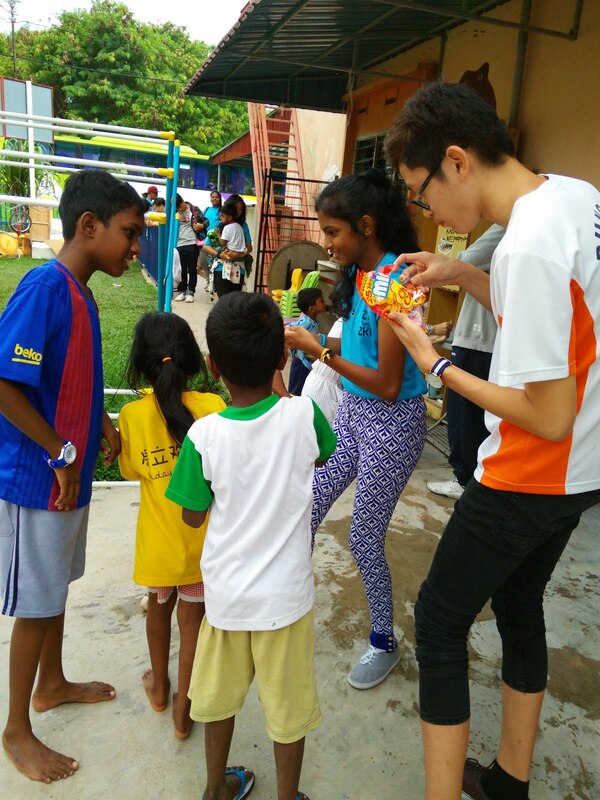 All races live in harmony and they value diversity, tolerance and respect. 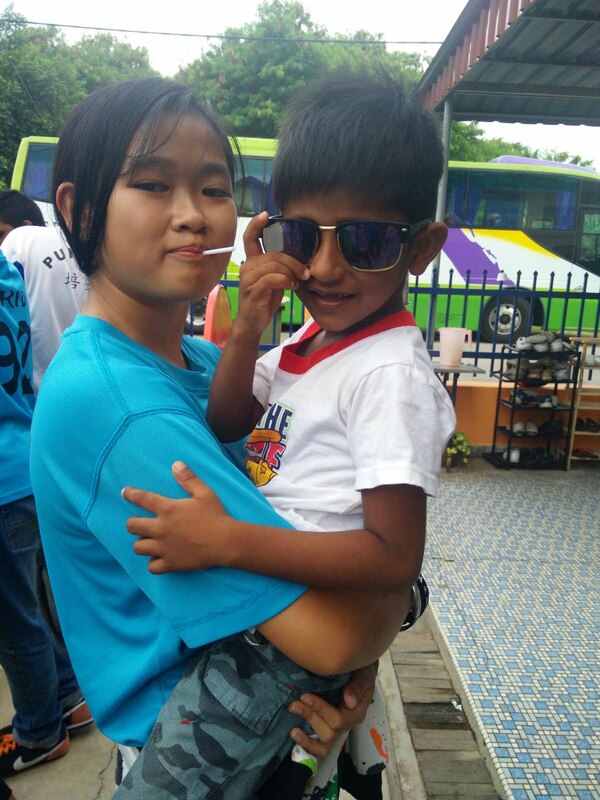 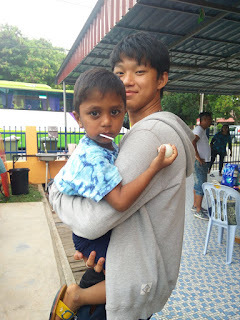 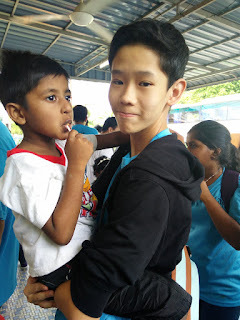 Zhi Kai...Today , we visited an orphanage home. 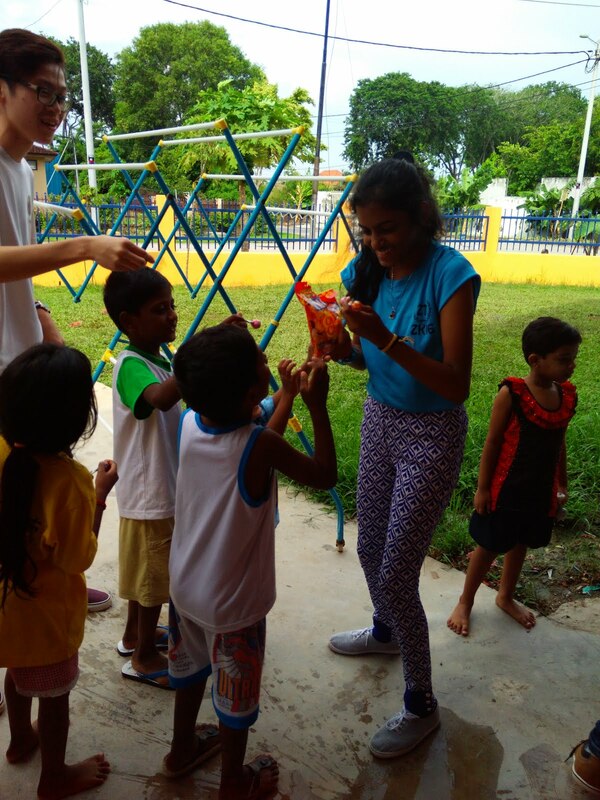 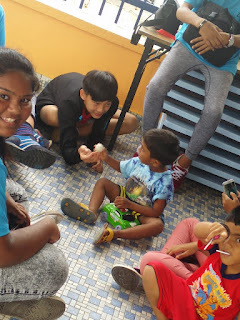 My classmates and I interacted with the young children in the home. We entertained and engaged the young children through games and story-telling. 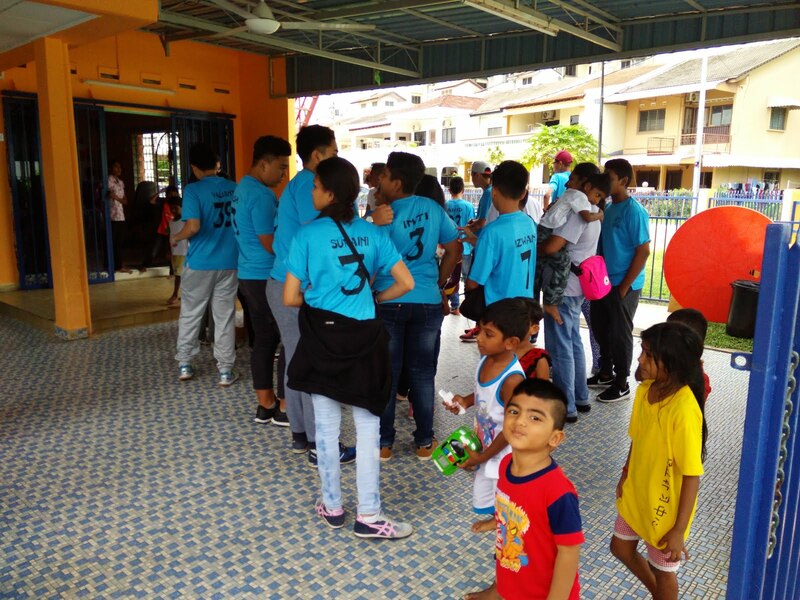 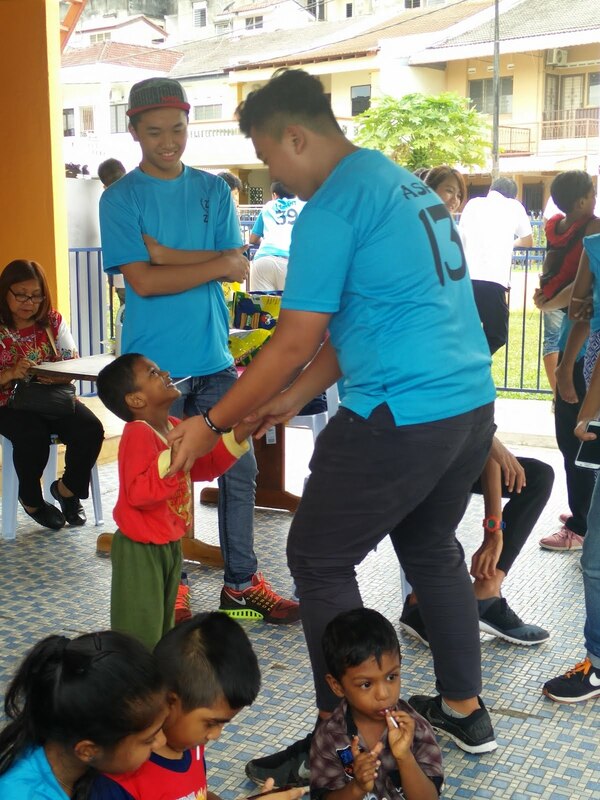 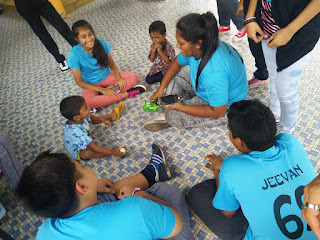 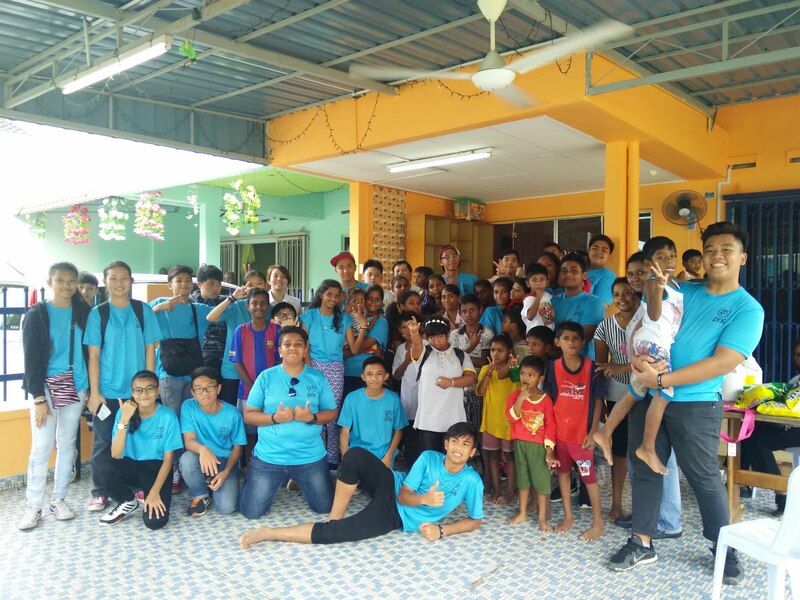 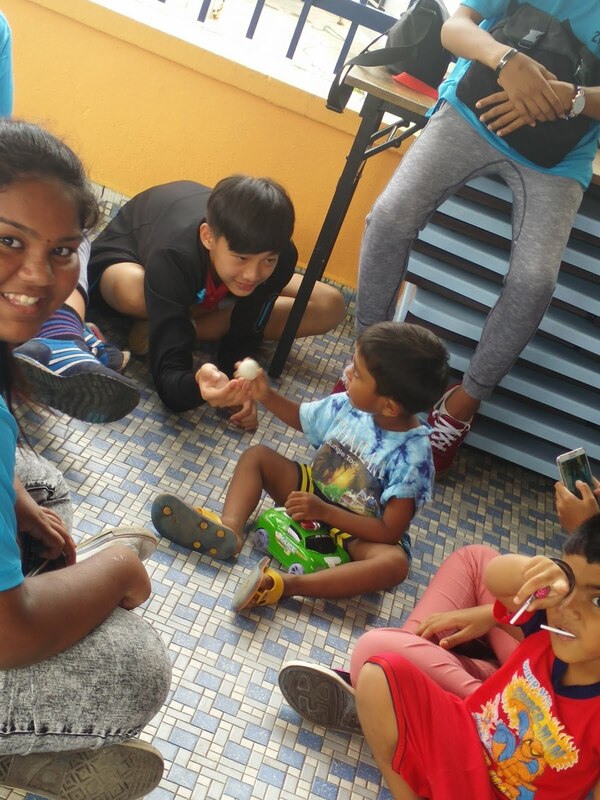 Reflection: It was our first time visiting an orphanage home and we realised how fortunate we are to have our families by our side. 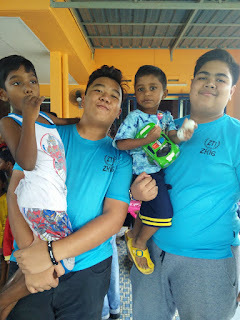 It was a memorable experience spending our time with these innocent children and we would love to visit them again next year. 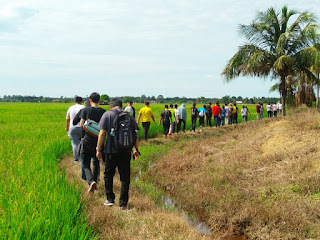 Jia Ru...Today, we were given an opportunity to visit a paddy field plantation. 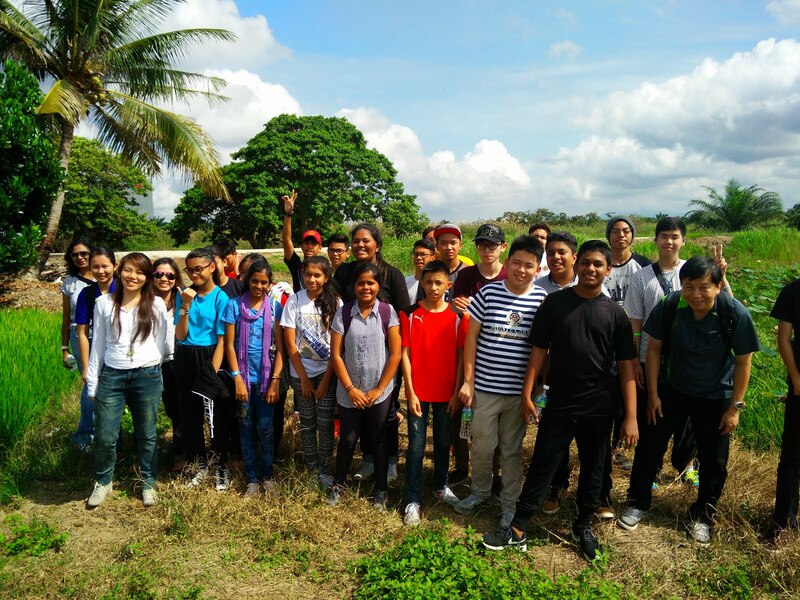 At the paddy field, we learnt many interesting facts about rice cultivation. 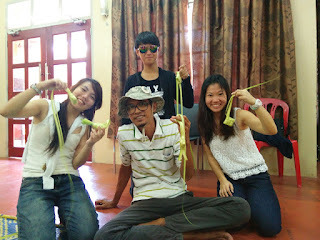 Tapioca leaf is used to get rid of pests so that they do not damage the crops. After visiting the paddy field, we went to an oil palm plantation. 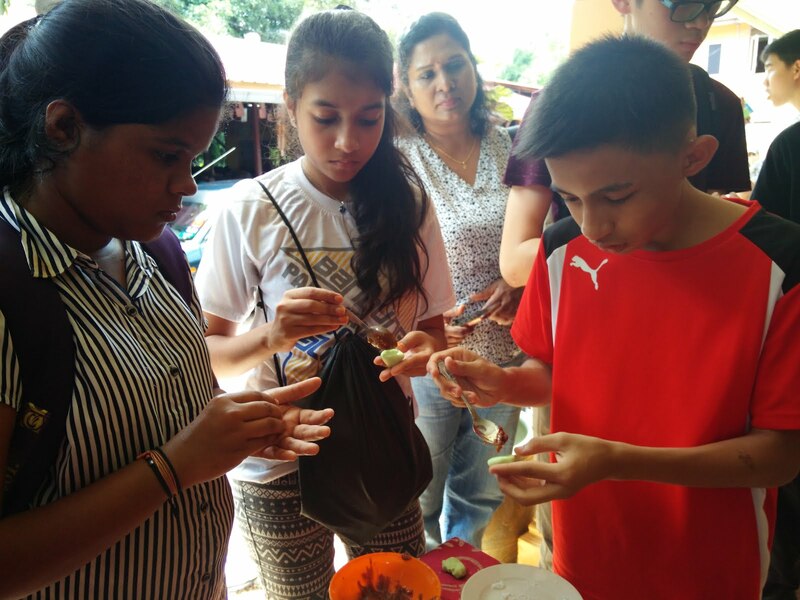 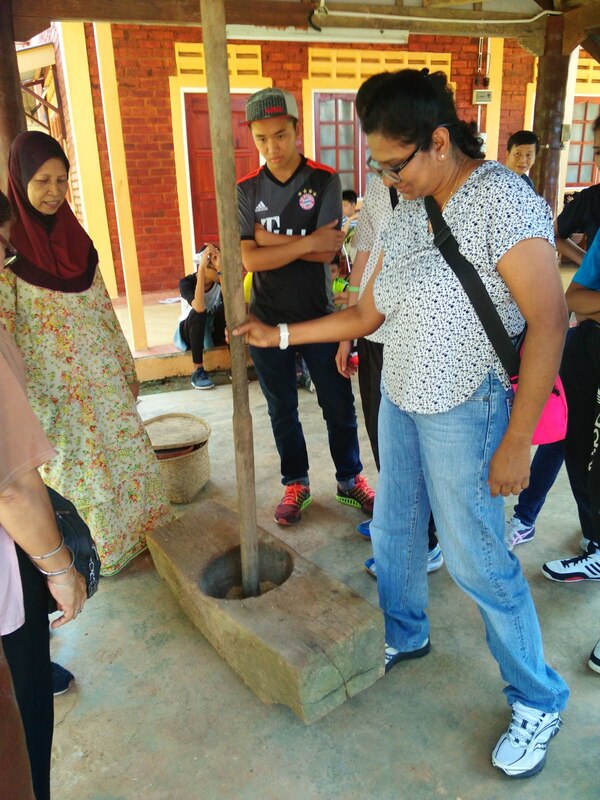 We learnt that palm oil can be used to make margarine and other household products. 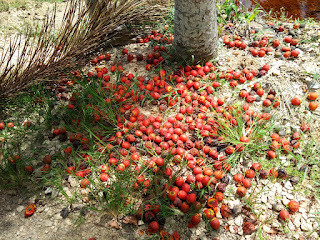 The massive number of fruits on the ground clearly indicates that the fruits are ready for harvesting. 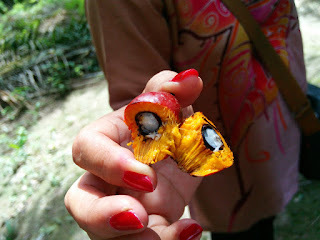 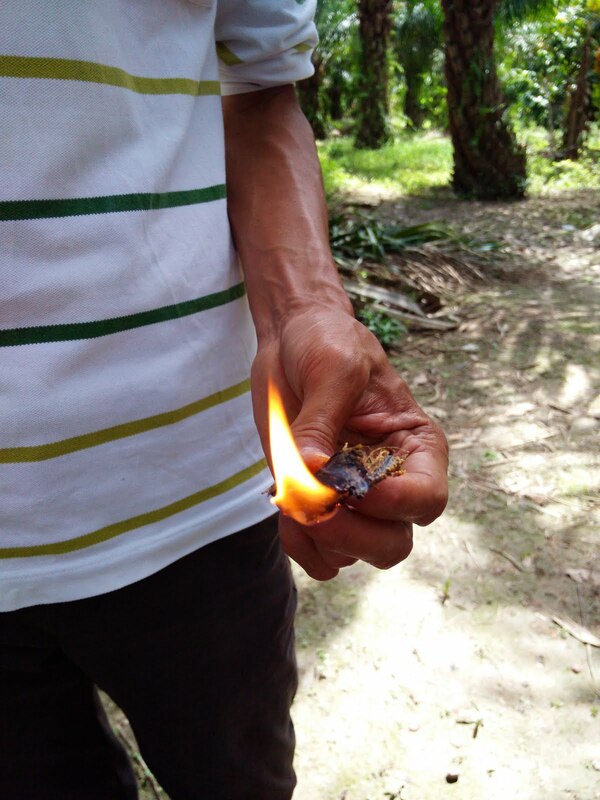 Despite the presence of mosquitoes we still learnt some interesting facts about fuel and oil palm plantation. 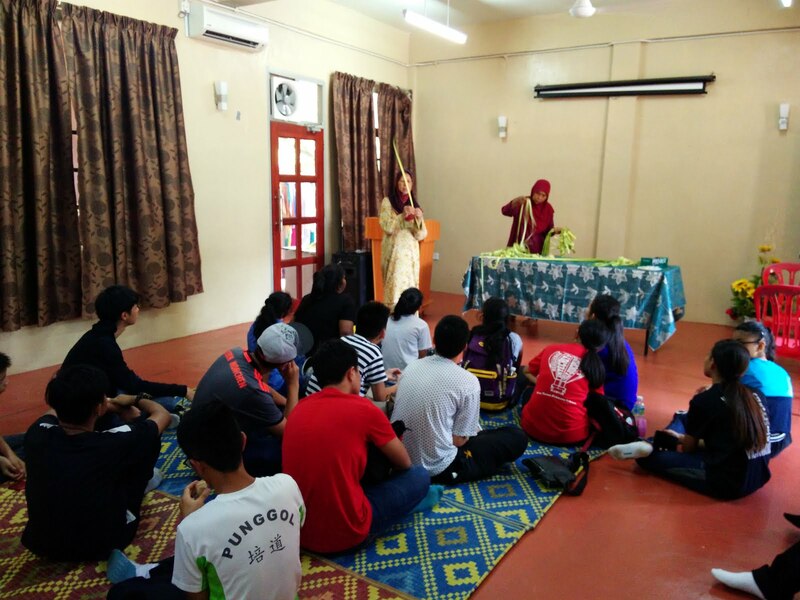 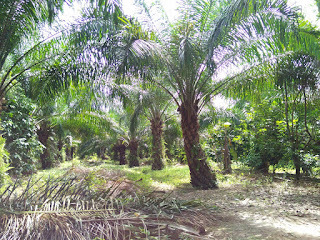 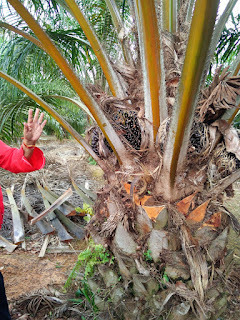 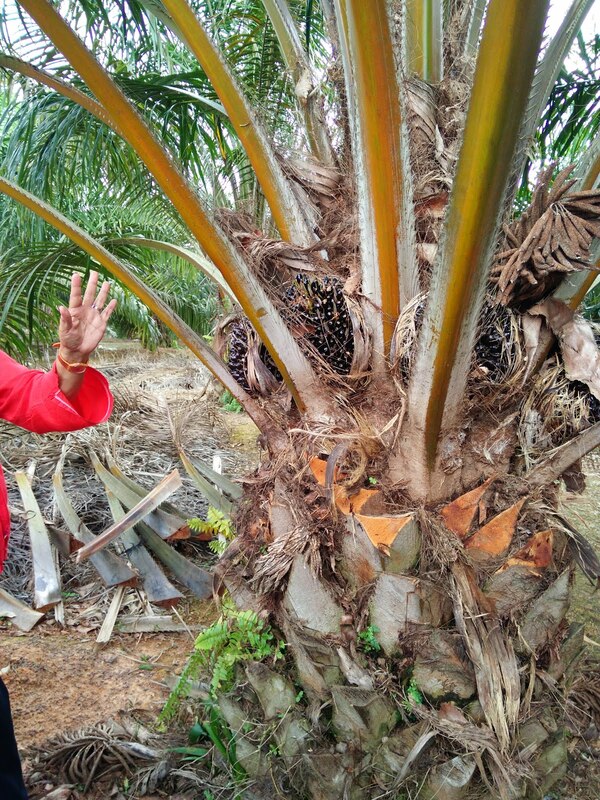 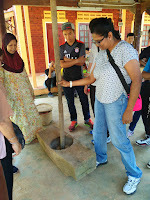 After the oil palm plantation visit, we went to the Kampong Parit Penghulu for other activities. 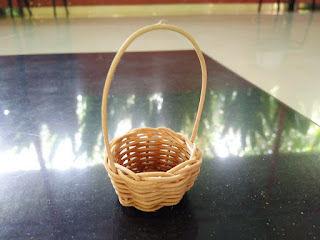 We learnt to weave a basket. 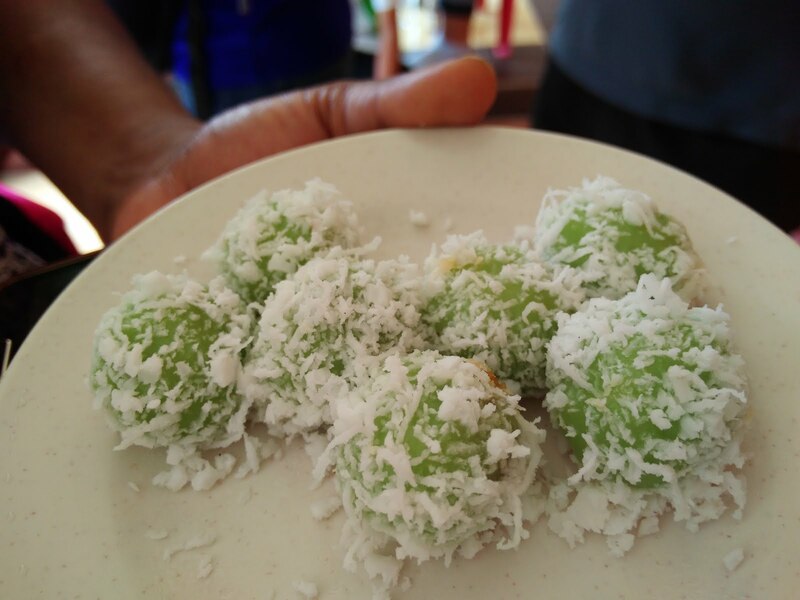 (Glutinous Rice Flour Balls with Gula Melaka). 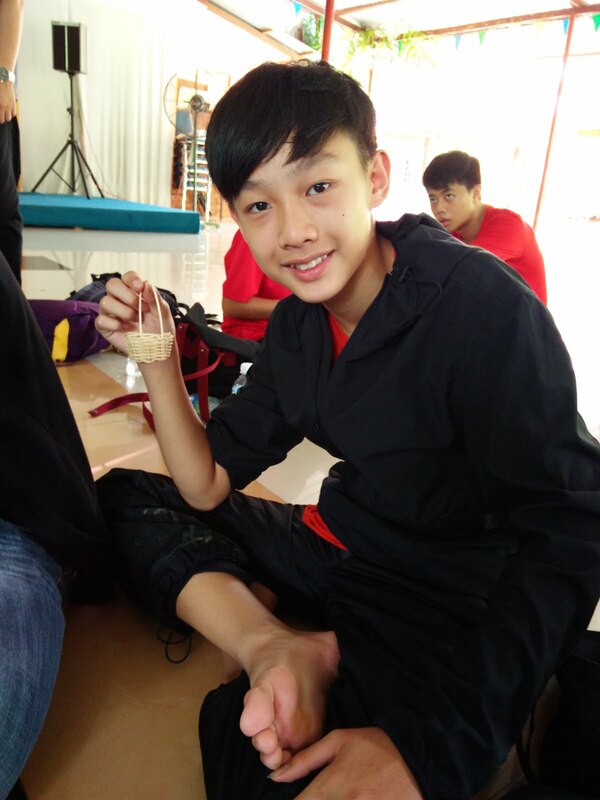 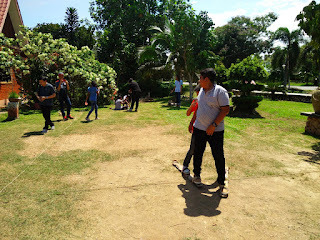 Next, we played traditional games known as Tarik Upeh and the Top Spinning ( Gasing ). 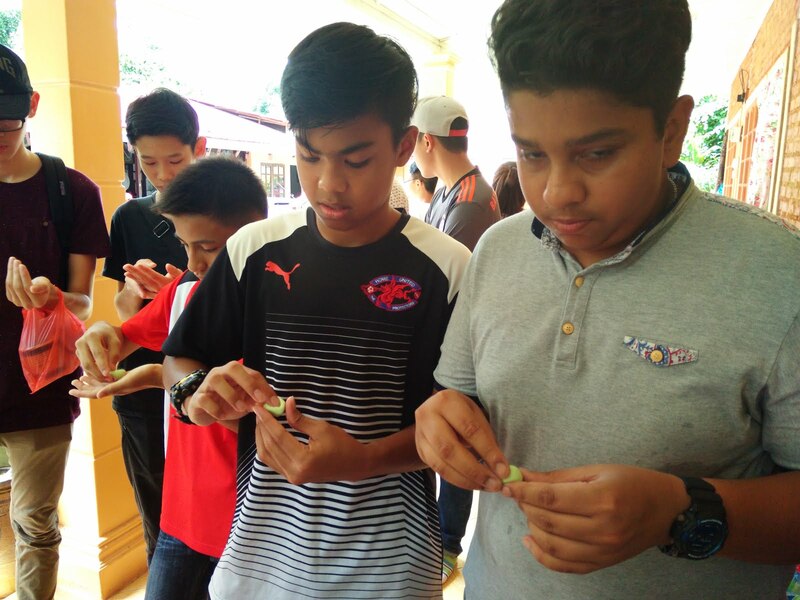 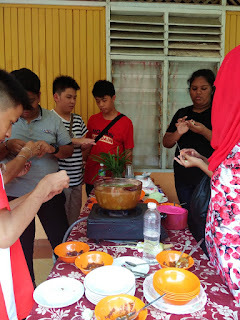 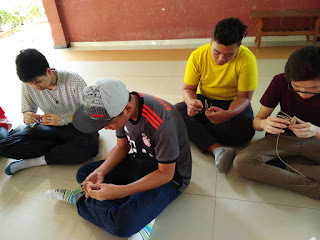 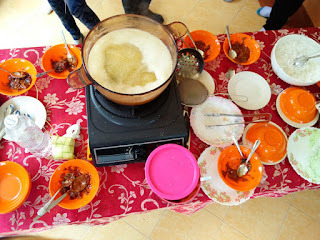 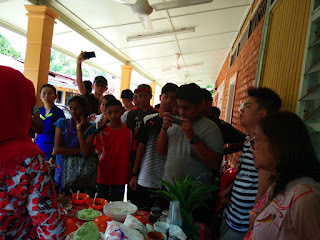 After these activities we had a simple 'kampong' lunch. 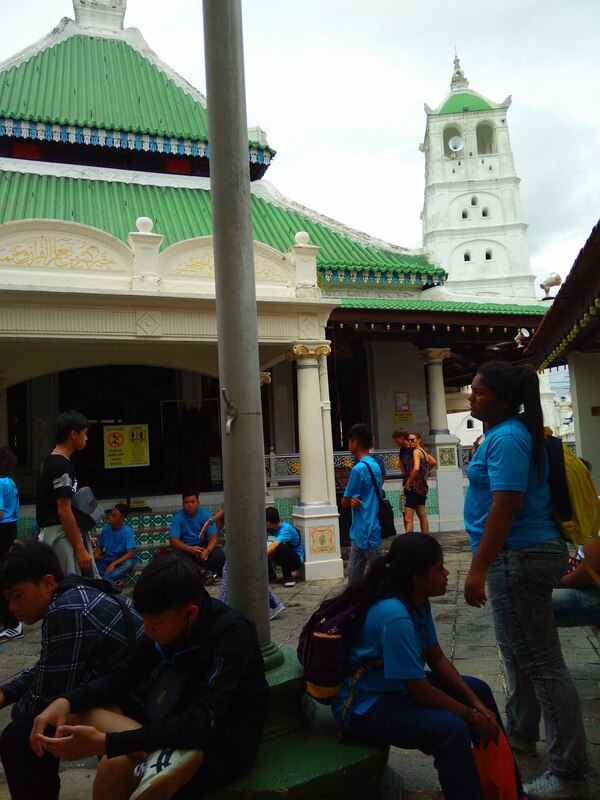 Although the weather was humid, we still continued with all the programmes in store for the day. We constantly hydrated ourselves by drinking more water. 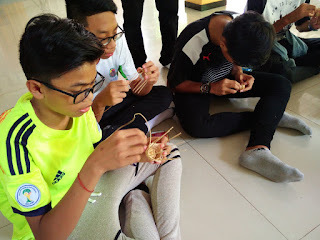 Reflection: We learnt that the people living in the 'kampong' (village) lived together as a community just like us in Singapore. The people here also respect nature and believe in self-sufficiency as they have small plots of land where they plant their own vegetables and fruits. 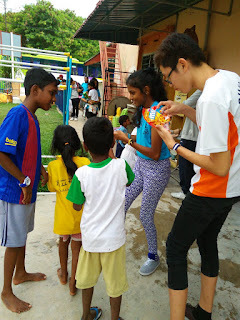 We showed respect to all the teachers, guides and residents from the 'kampong'. 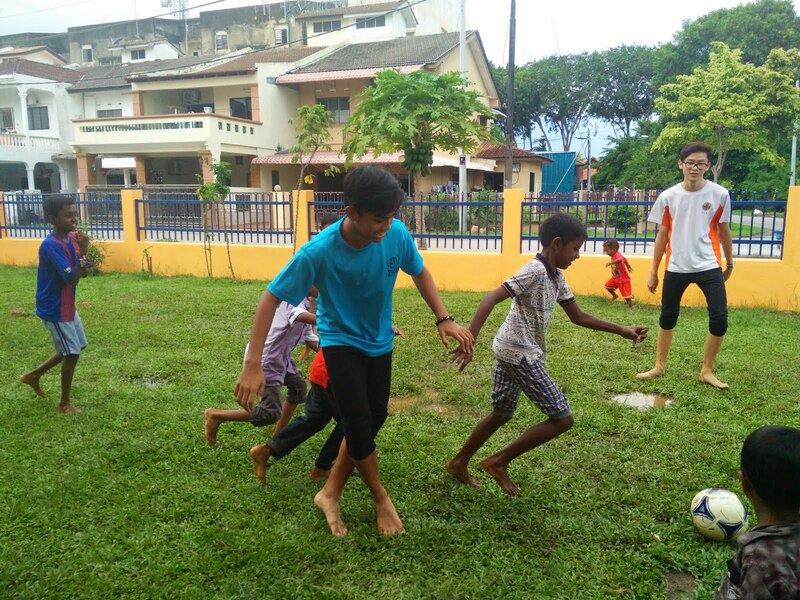 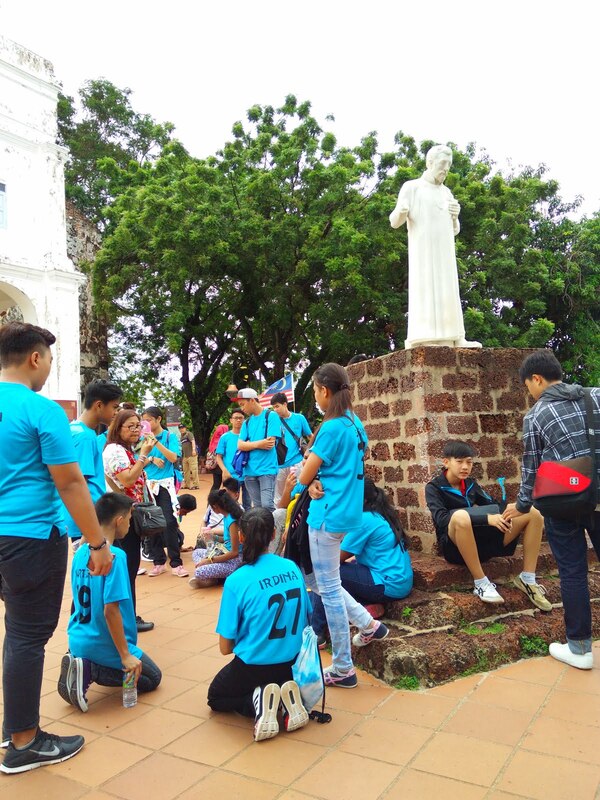 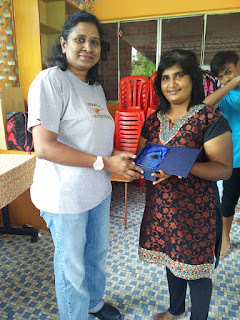 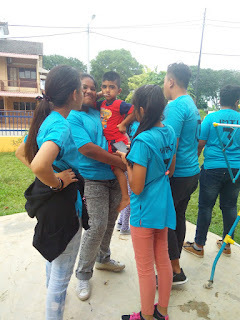 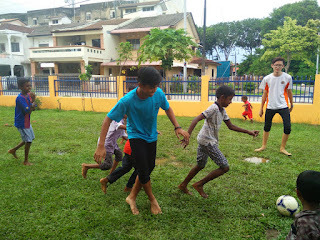 Moreover, by participating actively in all the activities that was planned for us, we learnt about the importance of teamwork. 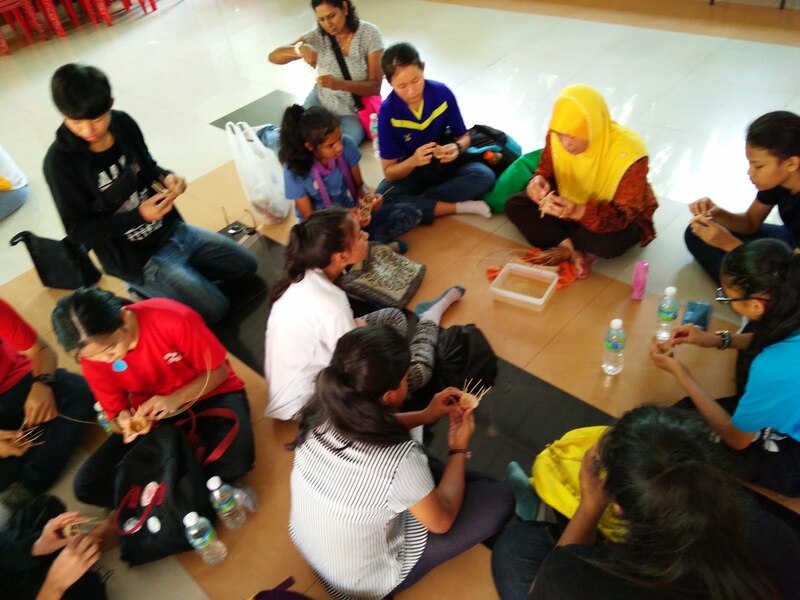 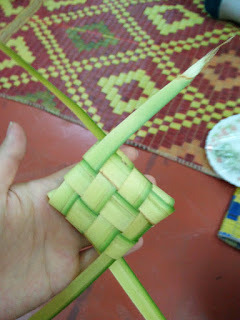 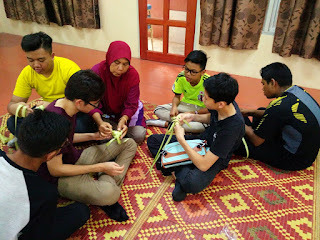 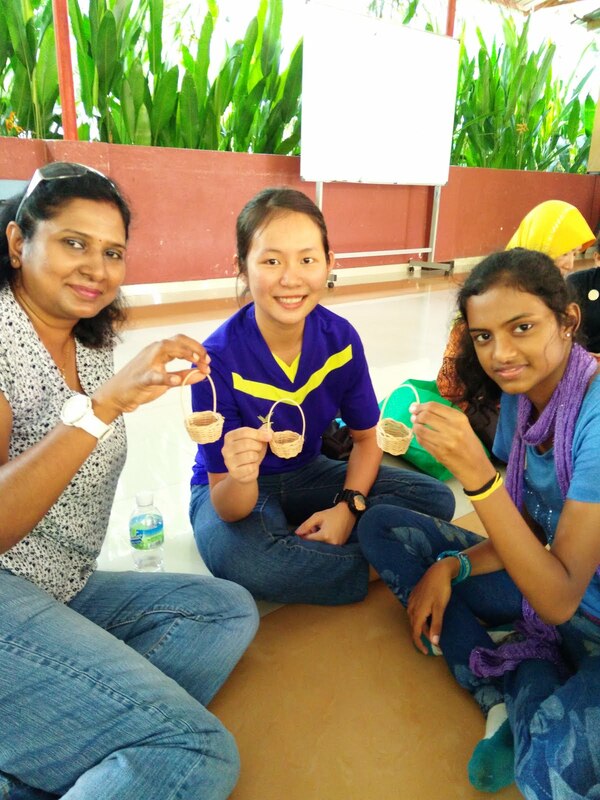 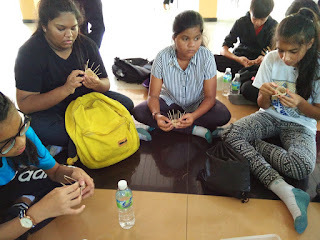 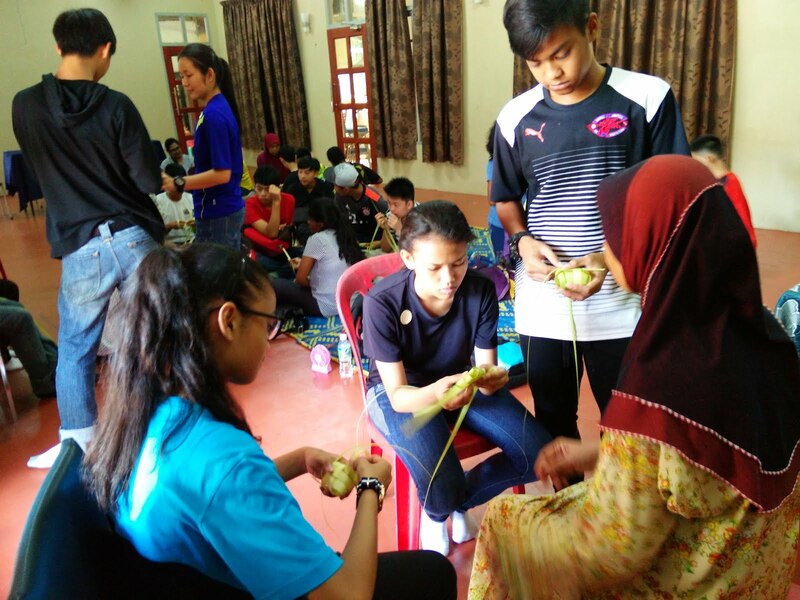 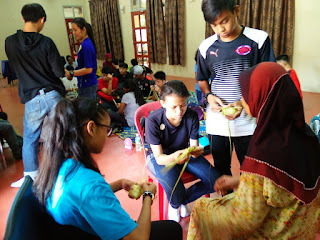 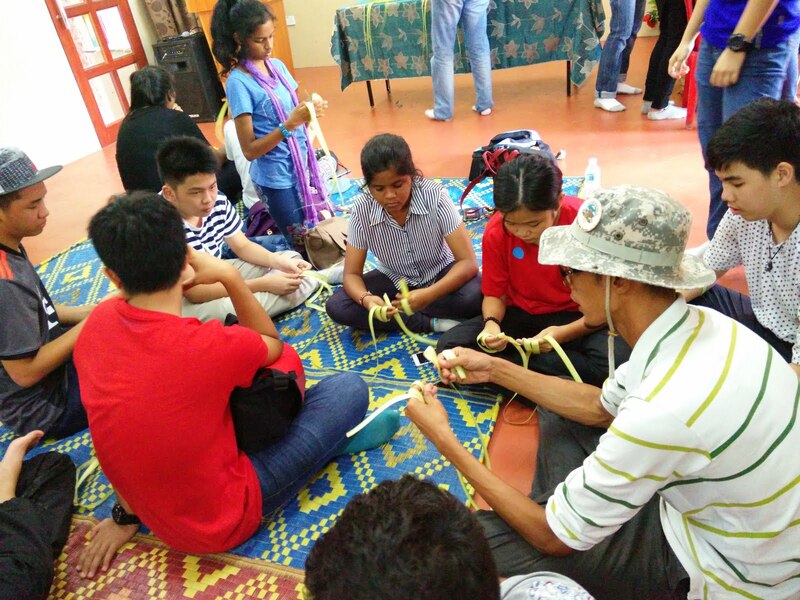 Monisha- After lunch, we did 'ketupat' weaving and spent about 15 to 20 minutes trying to learn how to make the 'ketupat'. 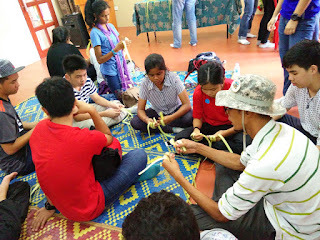 It was a complicated process but through perseverance and guidance we were able to complete the task assigned to us. 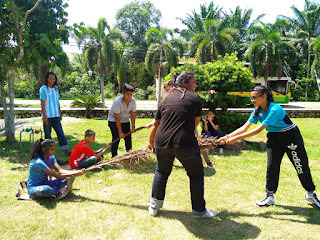 Next, we played a traditional village game known as Tarik Upeh. 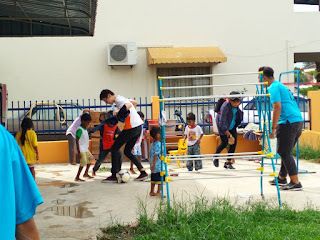 My classmates and I enjoyed ourselves by playing and competing with each other. 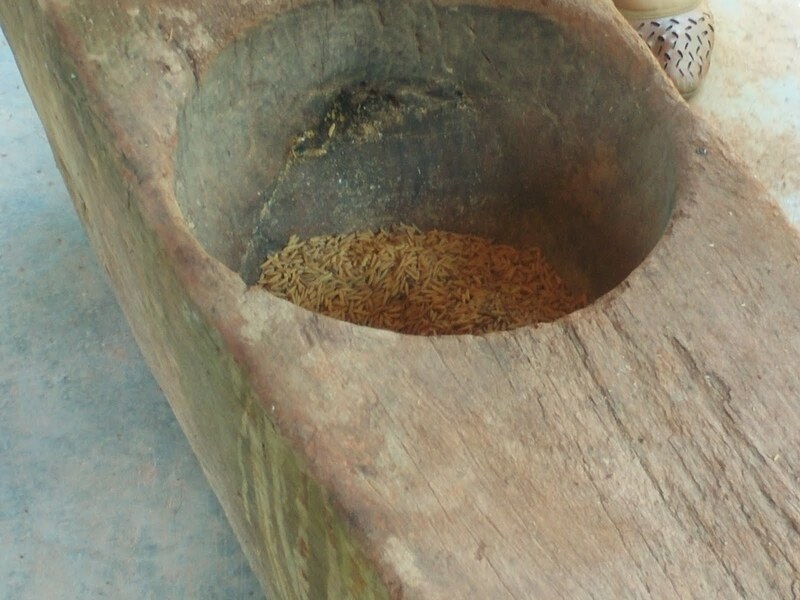 After the game, we witnessed the process known as 'rice hulling'. We realised that this method requires a lot of physical labour and is time-consuming. 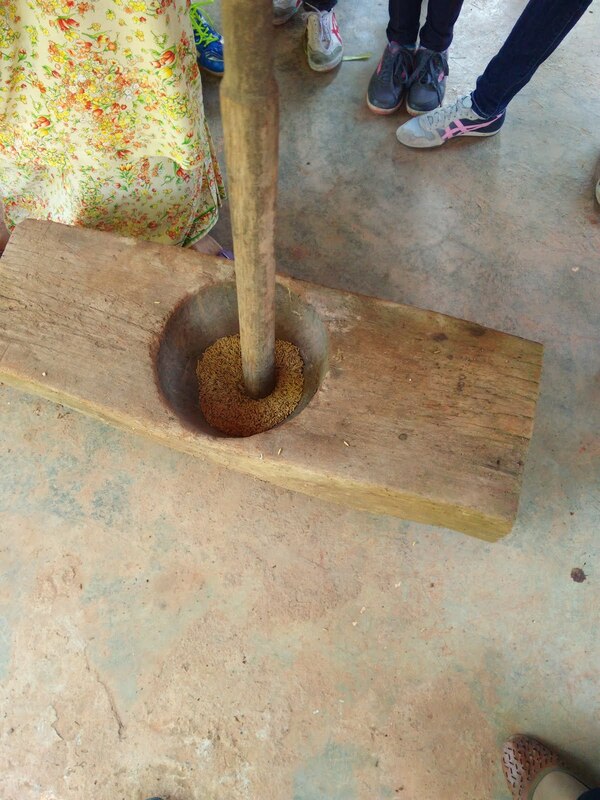 Thankfully, we have machines now which perform the task faster compared to the process of involving physical labour. 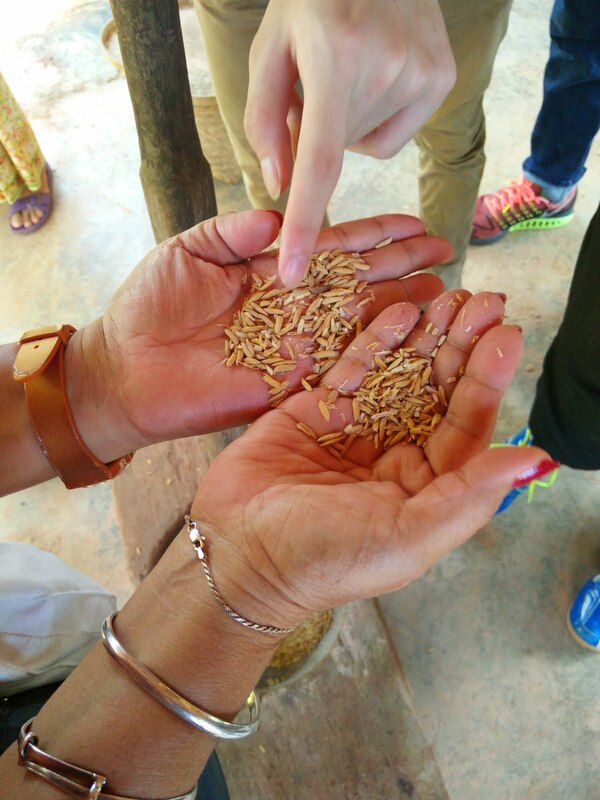 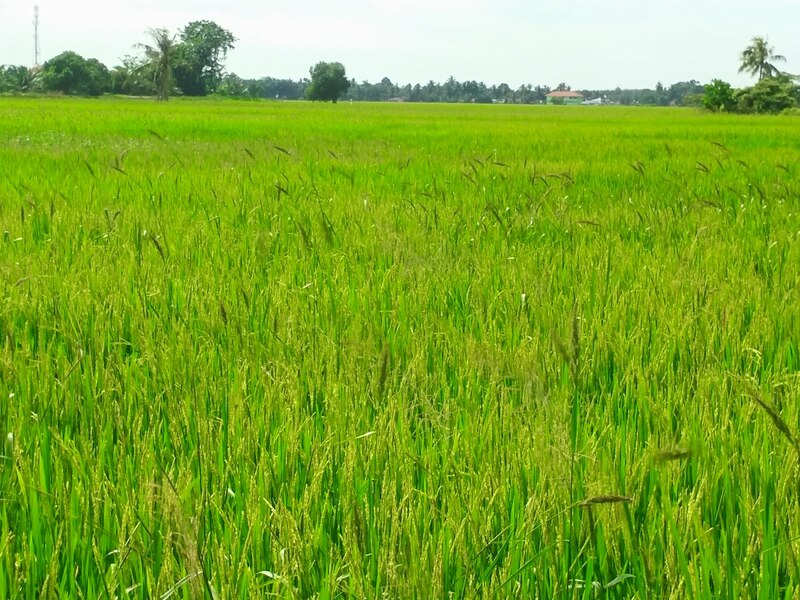 Reflection: I felt that the visit to the paddy field made me understand the whole process of rice cultivation better. I realised that technological advancements in rice production have made it possible to minimise manual physical labour.